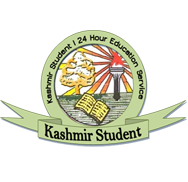 The Department of Arabic, University of Kashmir in collaboration with Department of Students Welfare organized an inter-university departmental/inter-college Qirat competition at Ghandi Bhawan in the University campus, Srinagar here on Saturday. Vice-chancellor, Prof Talat Ahmad presided over the inaugural event which saw large participation from students, faculty and members from civil society. 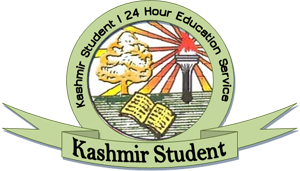 Announcing that Kashmir University will see the possibility of opening up a Quranic studies centre in the main campus VC asked the department of Arabic and Shah Hamdaan Institute of Islamic Studies KU to put up a written proposal for this . Prof Talat lauded the efforts of the department of Arabic and DSW for holding such competitions, which he said gives an opportunity to students to exhibit their talent. Earlier, Head Department of Arabic and organizing secretary, Prof Shad Hussain in his welcome address, spoke about the importance of such events in the life of students and said that these events help students in proper recitation of Quran. He said 26 colleges and 13 teaching departments of the university participated in the daylong event. Dean Students Welfare Prof Nilofar Khan was all praise the way students exhibited talent during the Qirat Competition. She looked forward to more collaborations of her department with P G department of Arabic. Dr. A Lateef Kindi, Islamic scholar appreciated the efforts of the University for organizing such competitions. In his key note Prof G R Malik termed Quran as the book whose content transcends time and space. He said since Allah transcends time and space and belongs to all time and all space therefore holy Quran also belongs to all time all space. Quran sees life as an organic whole said Prof Malik therefore he said “Quran is the book for moral and spiritual guidance for all aspects of life”. Prof Malik also said that the essential background of Quran is the life of Prophet Mohammad (SAW). In the concluding event Saturday evening Prof Talat Ahmad also gave away the awards to first three position holders. In Qirat competition, Shahnawaz Shah and Mohammad Amin Dar from PG department of Persian and Arabic bagged first and second position respectively whereas Dawood Ahmad and Abdul Manan Khan from Department of Kashmiri and Shah Hamdaan Institute of Islamic Studies shared third prize. Three consolation prizes were also given to Arshid, Umar and Hoor-un-Nisa. Abdul Majeed Nadvi, Mohammad Mushtaq and Sajid Ahmad were judges for the completion. Prof Bashir Ahmad faculty Arabic department conducted the proceedings of the valedictory event and Dr. Islahii conducted the proceedings of the inaugural event.